We know what we are talking about” What makes Stalmach different? In the winter of 1978 I got my first skibob named “Fritsmeyer” from my father. 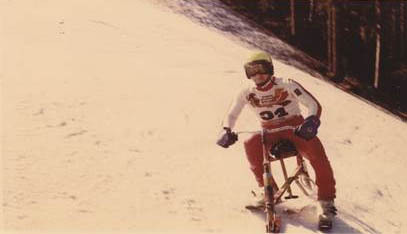 That same winter, I won almost every national skibob race amongst the youth class. 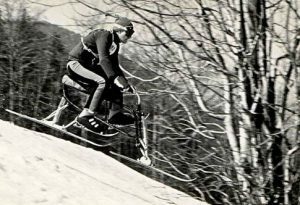 What I quickly realized however, was that in comparison to the world class leaders encountered during my international skibob experiences, my equipment couldn’t keep up. My passion, talent and hard training couldn’t make up for this shortfall. So I went into our little garage under the house and built my very first skibob. Development and continuous improvement requires prototyping and testing. And lot’s of it! This exercise proved to be particularly difficult given the situation I was in. 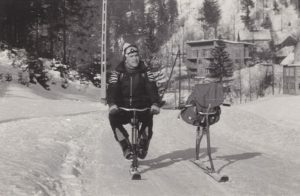 We had no car and were far away from a ski lift. Carrying my skibob and all the equipment that came with it (weighing approximately 40kgs) it took me around 20 minutes to get to the closest bus station. From there it took me an hour bus ride and then another one hour hike on foot to the closest ski lift. It was hard! 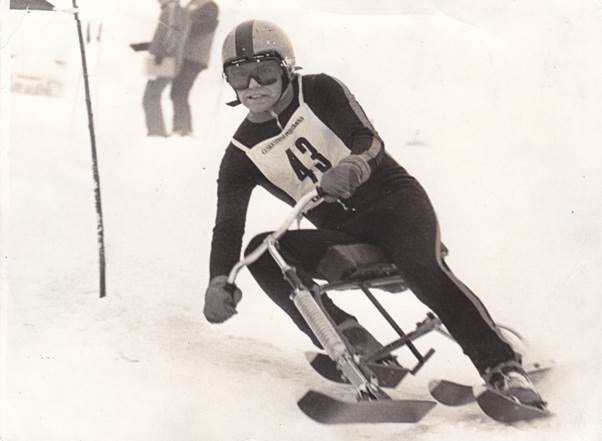 So I came up with all these ideas to continuously improve and modernize my skibob. Every new idea required my skibob to be rebuilt and as time went by I learned from my experiences and gradually found new ways to better my skibob. 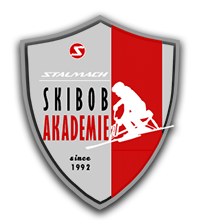 I achieved a triple Skibob World Champion title in Slalom, Super-G and Combination. I was the runner-up (2nd place) in the Giant Slalom World Championship. A year later I managed to defend and keep my World Championship title in Slalom. In Super-G and Giant Slalom I came in third; in Combination I was the proud runner-up (2nd place). 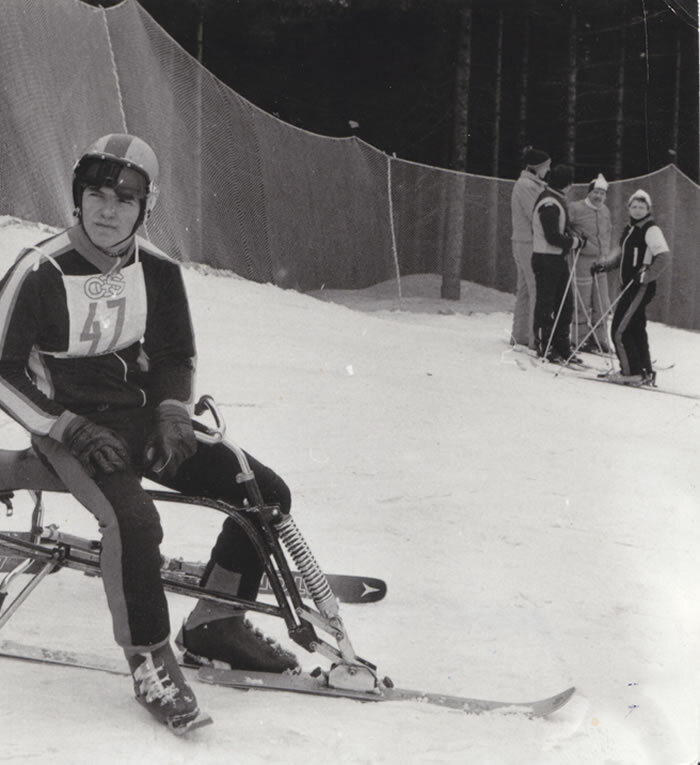 Throughout my 18 years of World Cup racing and achieving four World Championship titles, I gained priceless experiences and insights in every aspect of skibobbing and life in general. 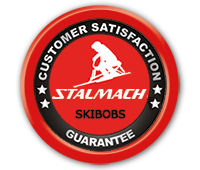 All my experiences and insights are now invested in the ongoing development and production of Stalmach Skibobs as well as continuously improving and bringing new and innovative Skibob methodologies to life. I am happy to share my insights and experiences with you!